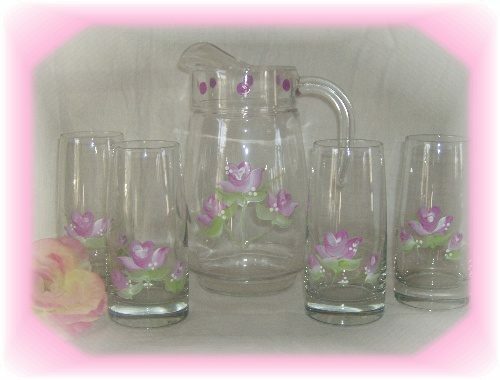 Perfect for a Mother’s Day Tea or A Shabby Chic inspired wedding this pretty hand painted Shabby pink rose pitcher and glass set will add some feminine beauty to your table! The one of a kind pitcher stands at 10 1/2″ Tall and each glass measures 6 1/2″ Tall. 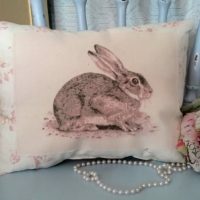 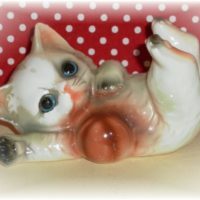 This sweet vintage inspired bunny rabbit pillow would make a perfect accent for a chair or bed in any shabby chic cottage style room. 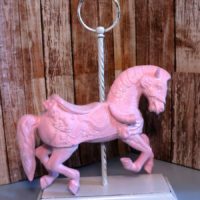 This pretty pink glittered carousel horse figurine would make a wonderful gift for any little (or big) girl who loves horses. 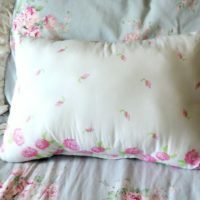 This shabby chic inspired pink and white embroidered pillow would make a lovely accent for your cottage style bedroom.